Bait fish are on the surface at San Vicente right now and bass are busting on them. If you’re at the right place at the right time you will be able to capitalize with flukes, topwater baits and other shad imitators. You can also target these schooling bass by slow-rolling an underspin like the Coolbaits under the busting fish or once they stop busting. The water is really clear, so don’t forget to downsize your line to maximize your bites! Contact me to book a trip if you want to get on this fun fall action! 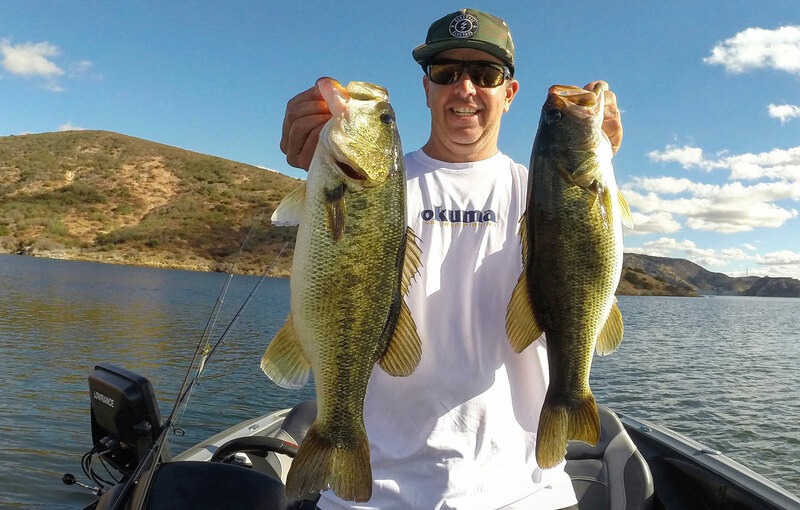 Todd Kline, one of the most successful tournament anglers on the west coast the last several years, is now offering his services as a professional fishing guide in southern California, including San Diego’s fabled big bass reservoirs.